Polling Day is a mere two days away. Have you decided which Tan to vote for? I would like to talk about Mr. Tan Kin Lian. Amongst the four Tans, he is the one most familiar to me. I was still young and politically apathetic when Dr. Tony Tan and Dr. Tan Cheng Bock were in government, and Mr. Tan Jee Say only came into prominence when he stood under the opposition ticket in the General Elections a few months ago. Mr. Tan Kin Lian has been a CEO of a major insurer for three decades, and it is natural for any practitioner dealing with life insurance to have heard of him. He is well-known in the industry, though perhaps for not very desirable reasons. 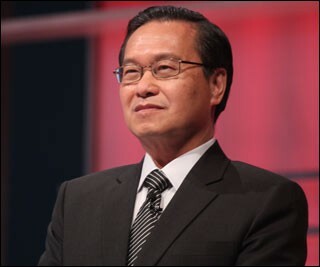 Mr. Tan ill-treated the sales-force during his tenure as CEO. This is an oft-cited reason when I ask some of my colleagues who were previously from the cooperative Mr. Tan headed for 30 years about him. This included Mr. Tan encouraging direct sales through salaried staff (to reduce commissions as a clash of interest), as well as lowering sales commissions. While CEOs of other companies motivate their staff through aspirations of wealth (I personally can attest to such motivational talks), Mr. Tan encouraged the sales-force to “tighten their wallets” and be less income-driven. I cannot say for sure, since I have not experienced working in the company headed by Mr. Tan, but I do think that Mr. Tan’s actions stem from being pro-consumer. Due to the fact that such insurance products are often zero-sum games, something has to be compromised and I guess he had unfortunately ruffled the people in the sales-force and I can understand the resentment against him. He provides bad financial advice. Personally, I feel that his philosophy on insurance is quite similar to mine – use cost-effective policies to gain adequate coverage, and then use the savings to invest prudently instead of purchasing overpriced policies with poor yields. I certainly do not agree with some of his recommendations, such as relying solely on Medishield or group term policies, but ultimately his advice is generic and he does recommend that people weigh the costs versus the benefits to see whether a policy makes sense to them, which is exactly what I encourage my clients to do. Indeed, I have met people who respect the opinions of Mr. Tan and are still happy clients of mine even when my recommendations may differ from his, though the philosophy holds true. Ulitmately, I believe he does a good job in increasing financial literacy and awareness, and it is also up to consumers to process information that is given and decide what is best for themselves. There may be many other reasons why people are not happy with Mr. Tan, but agents who profit at their clients’ expense will no doubt be part of this number as they find it more difficult to push dubious products in an environment of increased financial literacy. He is biting the hand that fed him. This arises from the fact that Mr. Tan is now criticising some insurance policies, including those from NTUC Income, as being poor yielding and bad for consumers. I believe that one can be part of a company or establishment, and then find that something is wrong after leaving it and highlighting the bad points. I personally do not see that as hypocritical, unless of course, Mr. Tan is criticising certain policies and yet continually profitting from the sales of such products. It also begs another question – along the same logic, are we going to accuse Dr. Tan Cheng Bock and Dr. Tony Tan of similarly “biting the hand that fed them” when the President’s duty to check on the ruling PAP government is called for? Some positive things I have heard from ex-Income staff were that he allowed ex-gratia payments to some inadmissible claims based on good will, and an incident of waiving payments for a family whose breadwinner lost his job (I cannot recall whether this is insurance related). Based on my understanding, Mr. Tan isn’t a very good businessman – of course if one defines “good” as shrewdly able to maximise profits at all costs, the usual key performance indicator for CEOs. As a people’s president, however, “good” is a different story. From my admittedly limited knowledge of how Mr. Tan is, I feel that the negative news surrounding his tenure as NTUC Income’s CEO should be seen in perspective. If one was a commission-based agent during his time as CEO, your view of him would understandably be negative. Otherwise, his 30-year long experience in managing a large financial institution should put him in a good position to handle the financial duties of President. Depending on how you view his actions as CEO of a cooperative meant to benefit its policyholders, his actions should also give an indication of the kind of President he will be. Thumbs up to keep me writing more!